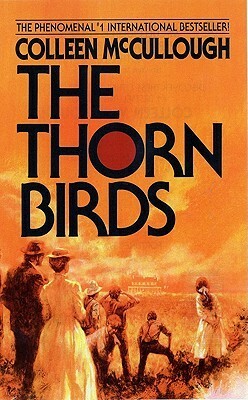 Synopsis from Goodreads: Powered by the dreams and struggles of three generations, THE THORN BIRDS is the epic saga of a family rooted in the Australian sheep country. At the story’s heart is the love of Meggie Cleary, who can never possess the man she desperately adores, and Ralph de Bricassart, who rises from parish priest to the inner circles of the Vatican…but whose passion for Meggie will follow him all the days of his life. My review: Wow. What a novel. I can’t even begin to explain the feels I have for this book. It’s like I love it, but also hate it…but in a good way. There was just so much death and heartbreak! Just when I thought everything was okay, things would completely do a 180 and become not okay at all! At times I wanted to scream at the characters for doing what I wanted, but in the end some of them triumphed. I guess what I really liked about The Thorn Birds was not only the forbidden romance, but also the struggles of the characters. It just really conveyed that in life things don’t always go perfectly and as planned. We must perservere and battle not only our inner demons, but also fight against social norms. I read in a review somewhere that this was like a Gone with the Wind, but Australian, and I’m not sure if I agree with that 100%. I would compare this more to Roses by Leila Meacham, which is another long epic that also delves into forbidden romance, family ties and obligations, and injustice. It may be a little slow getting into, but once you have progressed through the first 20 to 30 pages, you’ll be sucked into the stories that this fictional family has to tell and show. I've never read this book but I remember the tv series! My Mom loved this show! But of course I bet the books is better!